The HEAL Project is looking to inspire students of all ages! Join our team as an intern and learn valuable skills that will help you go on and create your own environmental programs, work in sustainable agriculture, or operate non-profit agencies. Internships with The HEAL Project are offered seasonally and can be customized to enhance your interests, talents, or school curriculum. To apply email info@thehealproject.org with your resume and area of interest. As I write this on my last day in The HEAL Project office, I have nothing but fullness in my heart for what felt like an incredibly short six weeks here. I’m currently a Dietetic Intern at San Francisco State University, nearing the end of a yearlong program interning at hospitals, clinics and offices all to gain experience as an eventual Registered Dietitian. My time at THP was quite literally a breath of fresh air, split between working on marketing campaigns, helping to plan two major fundraisers and joining in on the occasional dance party in the office with Shannon, Rhiannon and Amy while leading MyPlate lessons on field trips, playing guitar for kids during Mother’s Clubs, and conducting quality assurance observations on the San Mateo County School Farm with Naomi. Every day I was simply amazed by the strength, smarts and tenacity of all the women who make The HEAL Project the incredible organization that it is. They have inspired me to be more creative, to reach higher, to be more curious and to take on big projects in stride. I previously did not have much experience working with kids, let alone with teaching them about food and nutrition. The educators of THP, Naomi, Julia and Fiona quite literally led by example and gave me tools to effectively connect with and educate children from all backgrounds. It has become very real to me how important it is to teach kids where their food comes from and that yes, in fact, vegetables can taste good! These experiences set them up for a lifetime of health and happiness. So to sum up my experience here I would say that it has shown me the new and profound way one can impact a community by, in the words of THP, growing healthy kids from the ground up. I’m so thankful for my time at The HEAL Project. This fall I had the opportunity of interning at The Heal Project through my dietetic internship program at San Francisco State University. The experience I had at the farm was wonderful and full of daily adventures and excitement. While there I learned how to better develop and facilitate nutrition-based lesson plans for children that visited the farm. Likewise, I was able to see all the hard work and dedication involved in operating a program such as The Heal Project. Each team member is passionate about what they do and work very hard to create an atmosphere where children can learn, discover and experience wonder. It was rewarding to be a part of that in some way. Throughout my few weeks interning at the farm I was given tasks that were tailored to my program. The Farm Programs Manager Naomi took into consideration what I was learning at school and designed projects for me that not only fit the needs of my program but could also be used on the farm in the future. The experience felt very individualized and it was rewarding to know that materials I developed would be used on the farm. Every day at the farm was a new experience for me and I woke up every day excited to come work. Not only did I get to teach children about agriculture and nutrition, but I was also able to spend time outside and see how the farm brought all things together. As I work to finish my dietetic program and acquire my registered dietitian certification I know that I will take what I learned at The Heal Project wherever I go. It was an unforgettable experience that I feel blessed to have had. Coming into this internship after my first year of college, I was unsure which direction I wanted to go with sustainable agriculture. Being an environmental studies major and women’s & gender studies minor, I was really interested in exploring the intersection of farming and social outreach, and The HEAL Project gave me this ability. I am so grateful for how much diverse career exploration I was provided. I had the opportunity to dive into farm-based curriculum development, along with NGO management, organic farming practices, and bee-keeping. Although I worked primarily with the Farm Programs Manager, the entire HEAL staff has supported me throughout my internship, offering their individual expertise and advice about developing a career in agriculture and non-profit work. Because The HEAL Project extends such a wide array of education-focused opportunities in the community for children and adults alike, I never felt limited to just one area of professional development. As an environmental education intern, I got to play like a kid while strengthening my ability to facilitate lessons. Whether it be cooking Aloo-Gobi, building fairy homes, or looking at compost through microscopes, I learned just as much as my campers. I appreciate how much curiosity and wonder is encouraged at HEAL camp, and have learned a lot about my own educational values for children. Working with The HEAL Project is an equally humbling and uplifting experience in charming Half Moon Bay. Working for The Heal Project was an incredible experience. My internship allowed me to express my passion with photography and video editing, as well as learn a numerous amount of new skills in marketing, database management, and of course working with kids! I had the opportunity to step out of my comfort zone and learn all about how THP operates and I was able to bring in my skill set to benefit them in multiple ways. My experience with them was incredible. I worked with a group of amazing people, expanded my knowledge with important life skills, and I was able to work in beautiful Half Moon Bay! I benefited from this internship simply by having the opportunity to help out with workloads in the office, impacting children’s lives, and expanding my skill set with photography and videography. I learned a lot about Excel, which was super helpful when I took my finance class in college, and I learned more about myself in terms of what kinds of things I like to do an the opportunities I like to take. A year after my time with THP, I am now working at a similar non-profit in Keystone, Colorado called the Keystone Science School. It is a summer camp that impacts thousands of kids through science, adventure, and fun. My position is the media specialist. I take all the photos and videos taken throughout the week of each camp and put them together for a video for the parents to see. I love working here. Keystone Science School is where I see THP in their future as they continue to grow and impact kids lives. It makes me really excited! I loved working for THP and I am very excited to see what the future holds for this amazing company! 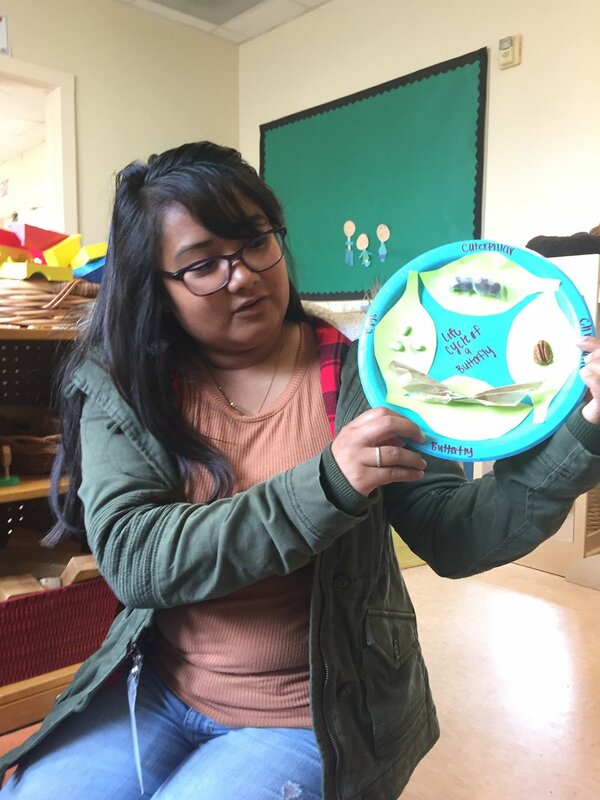 As a part of my Dietetic Internship with San Francisco State University, I was fortunate to spend several weeks last November as an intern with The HEAL Project. Interning at THP was an educational and rewarding experience. 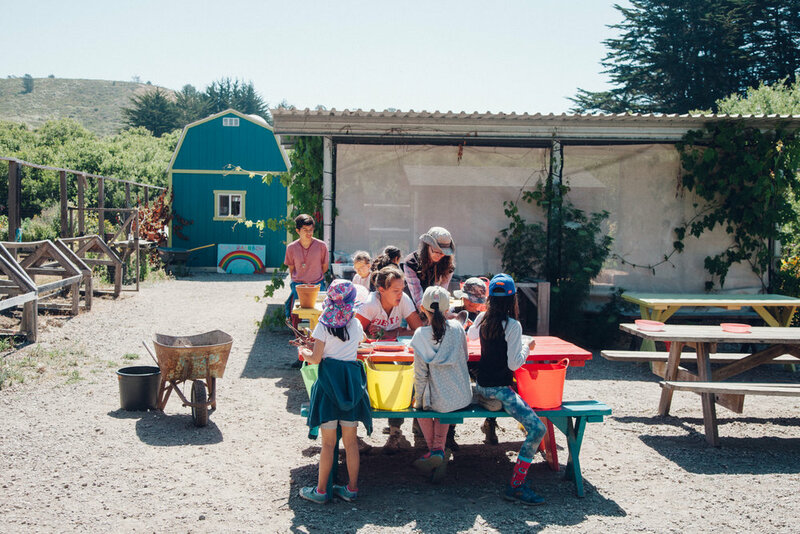 A few highlights include getting to develop and lead several cooking activities for Harvest Camp, compiling seasonal recipes featuring ingredients grown on the farm, and observing the amazing HEAL Project teachers and educators in action. Each one has their own unique teaching style, and I learned so much from each of them. I also enjoyed getting my hands dirty and helping out in the field with planting and harvesting for the farmers' market. Not only did this internship let me experience farm-based education in action, but I also got to develop my skills as an educator, and learn how nutrition education and hands-on food systems education can be intertwined. I completed the last rotation of my program this June, and I am currently studying for the Registered Dietitian exam and working remotely for an R.D. part-time. I am excited to see where my next steps will lead!